The book of Genesis is the most helpful written source of information about human origins. The first 12 chapters provide significant information that can be used in anthropological study of the first humans, the earliest human communities, the development of settlements, early technologies, the origins of the priesthood, circumcision, animal sacrifice, the dispersion of archaic peoples, and the development of languages. The focus of this article is human origins. The next in the series looks at what Genesis tells us about Abraham's Nilo-Saharan ancestors. The last in the series addresses the movement of archaic populations out of Africa to regions as distant as Northern Japan and Scotland. To understand what Genesis tells us about human origins we must set aside preconceptions that cause us to filter out essential information. We must allow Genesis to speak for itself without imposing our beliefs on the text. There is no conflict between the data of Genesis 1-12 and the concrete findings of science. Genesis provides an accurate and reliable picture of human origins, as we will see in this series on scientific verification of the Genesis data. Humans appeared suddenly and unheralded upon the Earth about 4 million years ago. These humans, though anatomically archaic, were fully human. This aligns with the Genesis explanation. After the Earth had cooled and vegetation covered the ground, after the environment was safe for humans, that is when they appear (Gen. 1:27). Further, Genesis states that humans were a special act of creation, not the result of a long process of evolution from a primitive common ancestor. That assertion has the support of science also. The common ancestry theory has never been proven. It is impossible to prove something that is not true. 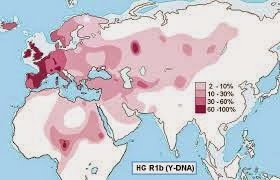 The theory of humans and apes having a common ancestor is not indicated by the genome research. See “Study Reports a Whopping ‘23% of Our Genome’ Contradicts Standard Human-Ape Evolutionary Phylogeny,” Evolution News, June 3, 2011. The oldest Homo fossils exhibit all the physical traits of humans. They walked upright, had opposing thumbs, short fingers, human ankle bones, and human dentition. In humans, the back teeth are larger than the front teeth (not so with apes), and the canines are not pointed. Humans also lack the characteristic diastema, or tooth gap, found in apes. These archaic populations were fully human, as evidenced by their anatomical structure, the presence of tools, controlled fire, and evidence of hunting and butchering. The archaic brain cavities were small compared to modern humans, though proportional to the smaller bodies. Further, brain size does not indicate lack of complexity of thought. Recent discoveries in Dikika, near Gona and Bouri, Ethiopia indicate that they shared food, and used flints to scrap, saw and chop. Two fossilized bones have been found that appear to be marked by stone tools. On the basis of low-power microscopic and environmental scanning electron microscope observations, these bones show unambiguous stone-tool cut marks for flesh removal and to access bone marrow. A recent discovery of a complete fourth metatarsal of A. afarensis at Hadar that shows the deep, flat base and tarsal facets that "imply that its midfoot had no ape-like midtarsal break. These features show that the A. afarensis foot was functionally like that of modern humans." (Carol Ward, William H. Kimbel, Donald C. Johanson, Feb. 2011) From here. Some of the earliest evidence of controlled use of fire by humans was found at Swartkrans in South Africa. Other sites that indicate fire use include Chesowanja near Lake Baringo, Koobi Fora, and Olorgesailie in Kenya. Early human footprints at Laetoli, Tanzania date to 3 million years. Some of the Australopithecine fossils dating between 2.4 million and 700,000 years are recognized by scientists as early human fossils. Mary Leakey considered her Tanzania finds to be Homo, that is, human, and not ape. "Ancient people were using this area throughout, leaving stone artifacts. It is amazing walking along the exposures, noting the stones that are the marks of ancient human activity. These early modern humans were making fundamentally the same kinds of artifacts that we find across western Eurasia, made by the earliest Neandertals, and across most of the African continent at the same time. There were regional differences in the pattern of toolmaking, but there was a broad technological commonality. This was the cultural background of our ancestors." These archaic humans used polished bone tools, butchered animals for food, and controlled fire. Some of the earliest evidence of controlled use of fire by humans was found at Swartkrans. Other sites that indicate fire use include Chesowanja near Lake Baringo, Koobi Fora, and Olorgesailie in Kenya. Using bones found at Pinnacle Point Cave in South Africa, archaeologist Corey O’Driscoll identified projectile impact marks which are between 91,000 and 98,000 years old, the oldest direct evidence for the use of projectile weapons. Human occupation of Pinnacle Point began about 162,000 years ago. The oldest level reveals a fairly sophisticated stone technology in which silcrete stone was heat-treated. Silcrete is a fine-grained stone brought from the South African coast. This is the oldest known example of such technology. This was also a period of human expansion. Humans moved along the major water systems of the ancient world. That world was also a wetter world in Africa and the ancient Near East. 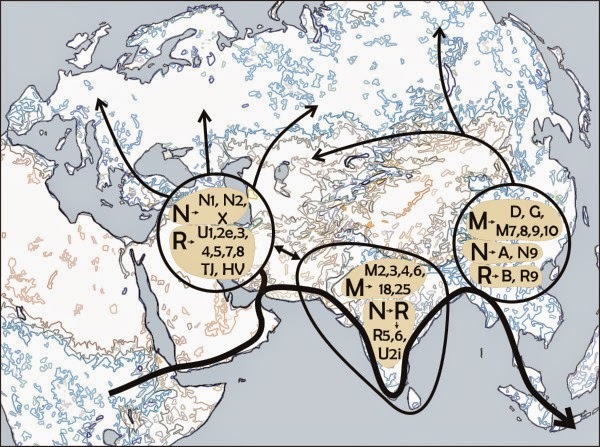 Human populations had spread out of Africa to virtually every continent. During this time the heads of clans were buried in red ochre powder, a symbol of blood, by which they expressed hope in life after death. Perhaps the oldest case (at least 50,000 years ago) involves the burial of a small boy in the Lebombo Mountains of Southern Africa. He was buried with a sea-shell pendant and covered in red ochre dust (ground hematite). A man buried 45,000 years ago at La Chapelle-aux-Saints in southern France was packed in red ochre. The Fox Lady of Doini Vestonice in Czechoslovakia was covered in red ochre at her burial 23,000 years ago. The Red Lady of Paviland in Wales was buried in red ochre about 20,000 years ago. 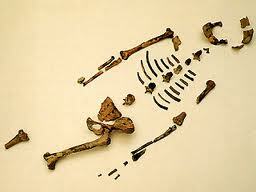 Her skeletal remains and burial artifacts are encrusted with the red ochre. Another 20,000 year old burial site in Bavaria reveals a thirty-year-old man entirely surrounded by a pile of mammoth tusks and nearly submerged in a mass of red ochre. Between 100,000-12,000 years ago a genetic and linguistic distance began to grow between two main groups: African and Asian. Genesis 11:1 speaks of a time when "the whole world had one language and a common speech" and this describes how the two groups were once so closely related that we can speak of a common cultural underpinning that expressed itself in the Afro-Asiatic Dominion. The classification of fossils as ape or human has been revised several times because the criterion of classification of human and ape has not been consistently applied. Some scientists interpret evidence through their preconceptions and try to force the data to fit their interpretation of human origins. There is also a great temptation to publish research that might gain them funding to continue their work and the funding comes mainly from organizations and institutions that favor evolutionary theory. The evidence indicates that humans have been on the surface of the earth for millions of years and that a range of physical features from population to population has been the norm. Population specific features were likely enhanced because archaic people practiced endogamy (marriage within the clan). From 3 million years to the present, physical changes in humans have not been very great. From the beginning, humans were fully human, the result of a special creative act of the Creator. The essence of the human being has remained unchanged from that initial act. There is no reason to abandon this belief since the widespread theory of evolutionary branching of ape and human from a common ancestor is not supported by the data. Related reading: Haplogroups of Interest to Biblical Anthropologists; Protruding Jaw a Human Feature; Concerns about BioLogos; The Dispersal of Archaic Humans; Adam Was a Red Man; Millions of Years Between Genesis 4:1 and Genesis 4:17; Mining Blood; Facts About Human Origins; Biblical Anthropology and the Question of Common Ancestry; A Scientific Timeline of Genesis; When is the Evidence Sufficient? Your research is so thought provoking and interesting. Thank you so much for all you do, and may God bless you abundantly. St. Solomon, King of Wisdom, pray for Wisdom to be given to Ms. Linsley! St. Sirach, Sage of Wisdom, pray for Ms Linsley! St. David, King and Psalmist, pray for us to be given Divine Knowledge! 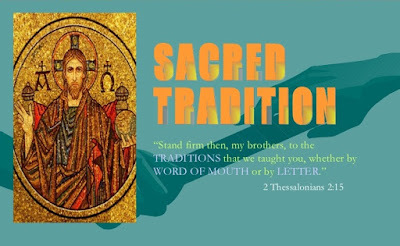 St. Isaiah the Prophet, pray for us to be given ears and eyes that hear and see! Also, do you think its possible that the Creation of Mankind in Genesis 1:27, could be the first Hominids about 4 million years ago, and the Creation of Adam and Eve in Genesis 2 could be the creation of modern Homo Sapiens around 200k years ago? And isn't it interesting the Sumerian Prism fond at Kish gives figures of rulers reining for tens of thousands of years, and when added up, you get about 300,000 years. Could the Sumerians have described ancient Royal Lines that ruled since the dawn of Adam and Eve? I can't wait till all is revealed and when we are shown the mysteries of the Universe and Life. The ancient royal lines are indeed important because they are evidence of social hierarchy, castes, and territorial expansion in prehistoric times. When we speak of archaic humans and modern humans we are speaking of one group - all human. The differences are not in the essence of the Human. Yes, I rejoice that one day we will know, even as we are known. God is good!